PT0520. 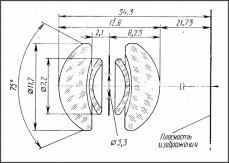 Prototype version of Orion-15 lens in Zorki (M39) mount. Very few samples (up to 10) released by KMZ in 1951. Date prefix in the serial number. Flat character "3" on body. Old style of character "4" engravings. An only so far known lens has s/n #5100004 (private coll.). 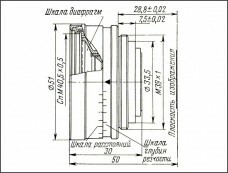 Sample opposite from the 1st Soviet Camera Catalogue (1958). PT0520 - Orion-15 lens #5100XXX. PT0521. 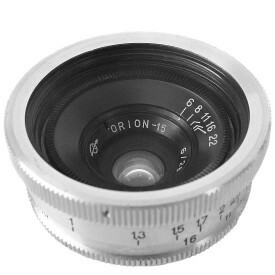 Seems to be the 1st productional version of Orion-15 lens. Very few preseries samples (up to 10 copies) released by KMZ in 1952. Date prefix in the serial number. New style of characters "3" and "4" engravings on body. Overall smaller dimensions of the body. 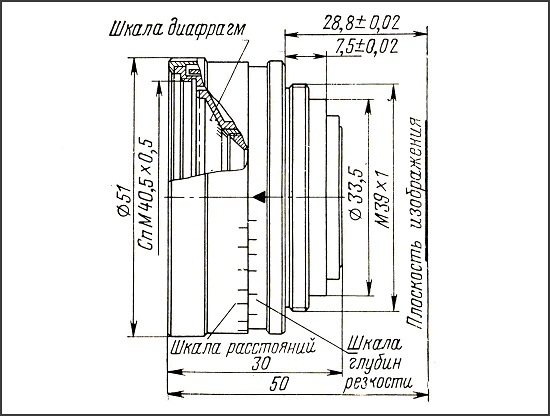 An earliest known lens has s/n #5200001 (SovietCams). Still ultra rare to find nowadays. PT0521 - Orion-15 lens #5200001. PT0522. 2nd preseries version of Orion-15 lens in Zorki (M39) mount. Totally different body construction with counterclockwise aperture settings (clockwise aperture settings on PT0520 and PT0521 lenses). Very limited batch (± 100 copies only?) released by KMZ in 1958. An earliest so far known lens has s/n #5800030 (see opposite). Lens #5800030 opposite from Alexey Nikitin (Russia) collection. PT0523. The last preseries version of Orion-15 lens. Identical to PT0522, but with clockwise aperture settings again, as on previous early versions. Very limited batch (± 50 copies only?) released by KMZ in 1958. An earliest so far known lens has s/n #5800145 (Domenico Cichetti coll.). PT0522 - Orion-15 lens #5800030. PT0525. Seems to be an earliest mass-market version of Orion-15 lens. Few thousands copies released by KMZ in 1959-1960. Name markings in Cyrillic characters only. 6-digits serial numbers without date prefix. Zorki (M39) mount. Known lens with s/n #002102, dated at 28th, April 1959. An earliest so far known lens has s/n #001830 (private coll.). PT0530. 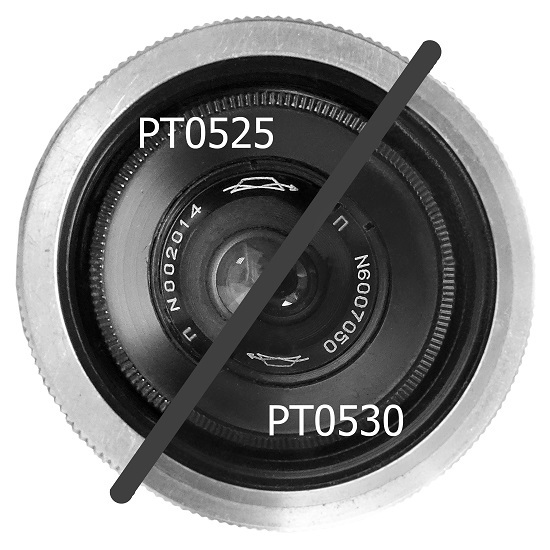 Lens identical to PT0525, but with date perfix in serial number. Released by KMZ in 1959-1963. 7-digits serial number. Zorki (M39) mount. PT0535. 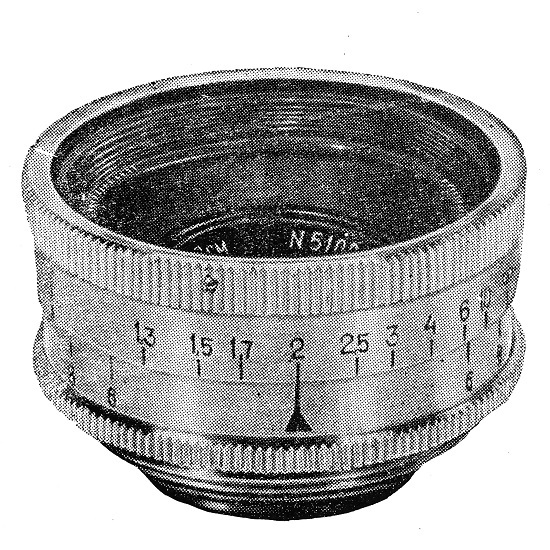 Lens identical to PT0530, but with 6-digits in the serial number. Small batch released by KMZ in 1960-1961. Zorki (M39) mount. No otherwise different. PT0525 - #002014 and PT0530 - #6007050. PT0540. Orion-15 identical to PT0530, but released by ZOMZ (Zagorsky Optiko-Mechanichesy Zavod). 7-digits serial number, name markings in Cyrillic characters. Zorki (M39) mount. An earliest so far known lens has s/n #6300690 (eBay 2011). PT0545. 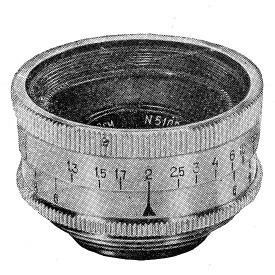 Lens identical to PT0540, but with nameplate markings in Roman characters. 7-digits serial number. Zorki (M39) mount. 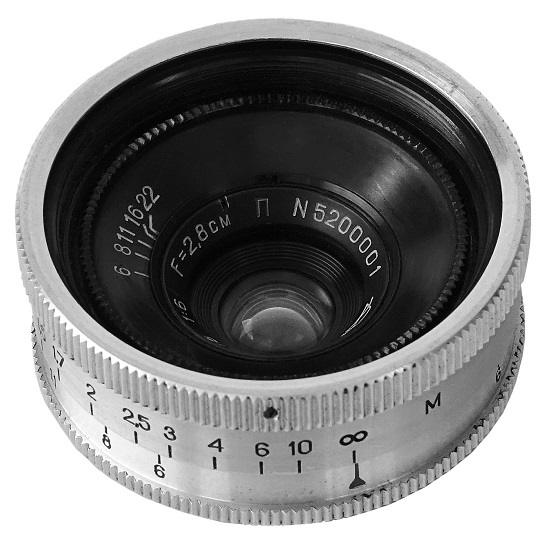 An earliest so far known lens has s/n #6301644 (eBay 2011). PT0550. 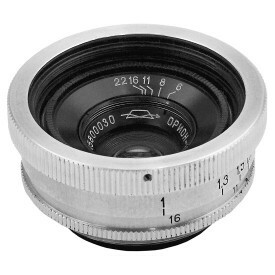 Lens identical to PT0545, but with 6-digits serial number already. Name markings in Cyrillic characters again. 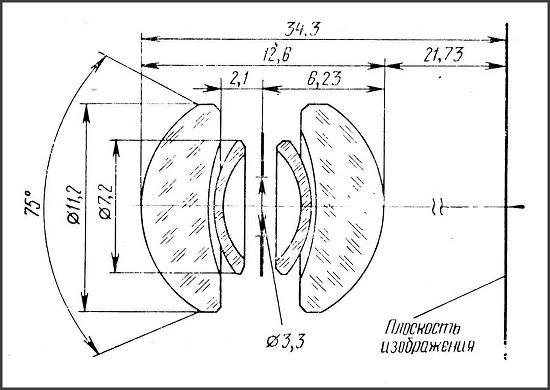 Some lenses have an additional "Made in USSR" engravings on body. An earliest so far known lens has s/n #640459 (P.Hetherington coll.). Few lenses from year 1978 are known. Zorki (M39) mount. PT0555. The most common version to find nowadays (see picture above, on the right). 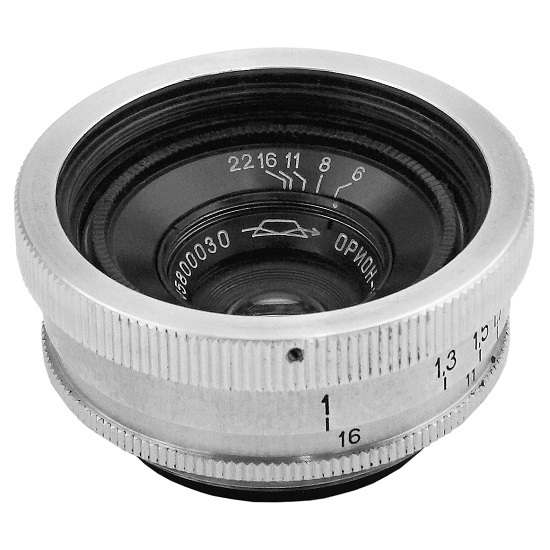 Lens identical to PT0550, but with export name markings on the faceplate. Numerous quantities released in 1964-1978. "MADE IN USSR" engravings on body. Zorki (M39) mount. PT0560. 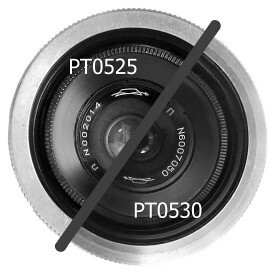 Lens identical to PT0555, but with totally black body now. Very limited quantities released in 1966-1967. Export name markings. "MADE IN USSR" engravings on body. Zorki (M39) mount. 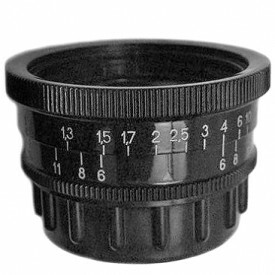 PT0560 - Orion-15 black lens.